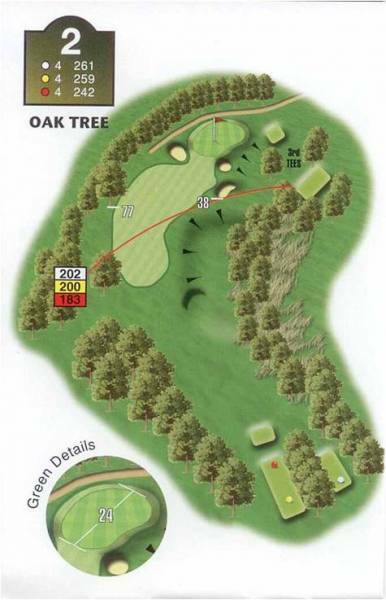 "This is one of my favourites, a dogleg right measuring 256 yards. The green lays some 240 yards as the crow flies and invites the low handicapper to hit a 'little fade shot' and blast it on the green. Unfortunately little fades and blasts don't match together, and waiting for the straight hit is the inconspicuous 'out of bounds' at only 200 yards."